repair shops. The damaged area must be removed layer by layer in order to enable the reconstruction of the laminate layer. 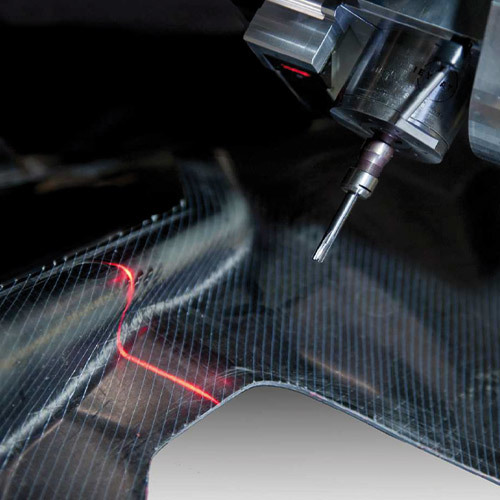 a mobile 5-axis milling unit that enables repairs within just a few minutes. As the component can be damaged anywhere, the surface must be measured before the repair process starts. This is where SAUER relies on sensors from Micro-Epsilon. measures the distance from the surface at a measuring range of 200mm. Subsequently, a scanCONTROL laser scanner measures the surface profile. Next, the program for the repair process is generated based on the acquired 3D data.